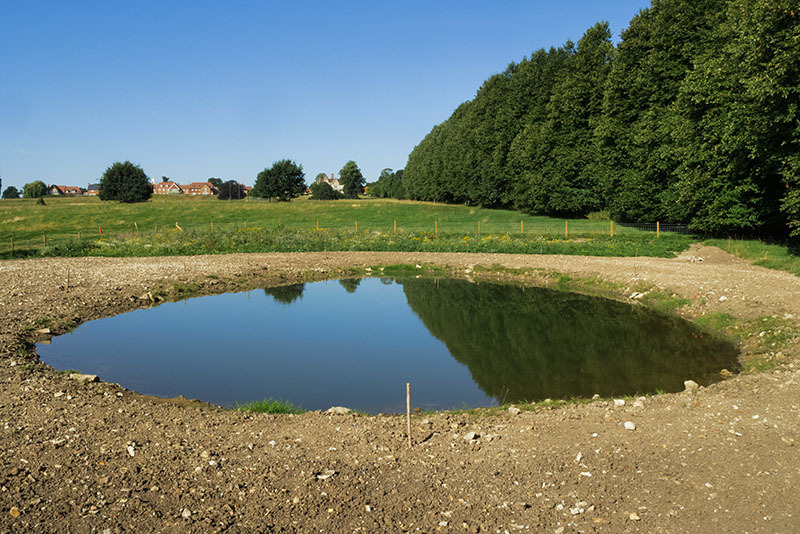 The new pond near Gid Lane was constructed in April 2016, by kind permission of Froyle Park Ltd. and funded by developer contributions through East Hampshire District Council. 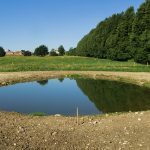 Although the area has looked rather bare this summer, advice from wildlife pond experts is to let the pond colonise naturally over time. So please do not introduce any fish or pond plants because this could bring in non-native species that are potentially invasive. 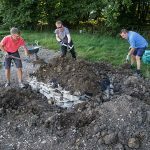 The disturbed ground was sown in September with wildflower meadow mixtures for wet or chalky soils depending on the conditions. An area of tussocky grasses and wildflowers sown in April has grown well although we continue to weed out nettles, thistles and docks. 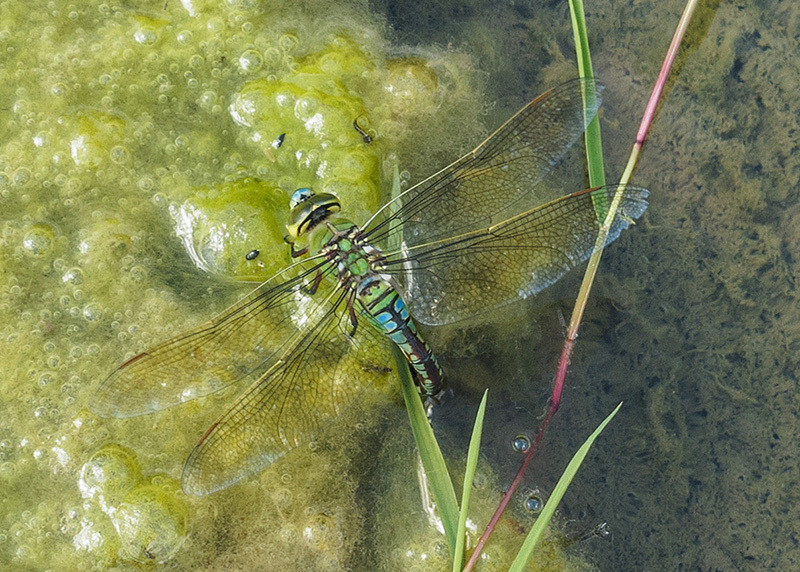 Dragonflies have found the new habitat and three odanata species (Emperor Dragonfly, Common Blue Damselfly and Common Darter) were seen egglaying in the water. The marginal plants Blue Water-speedwell and Brooklime have naturally arrived to start growing. In July we saw two unidentified newts in the pond and then found a Great Crested Newt under a pile of stones. The wildflowers have attracted bees, hoverflies and butterflies. 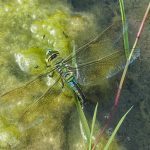 This increase in local biodiversity during the first few months demonstrates how we can help to give nature a home. As expected, the water level fell by about 50cm through the summer and rain in winter will then refill the pond. 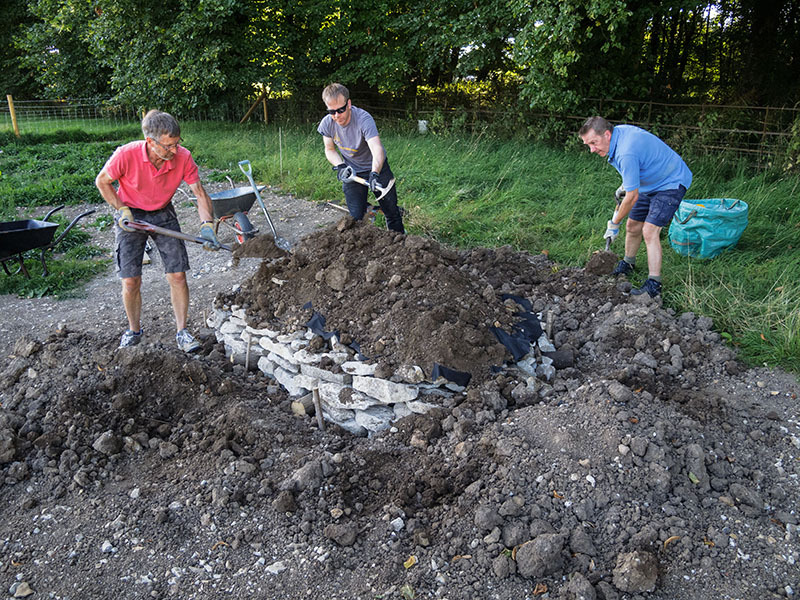 Thanks to the local volunteers who helped to cultivate the disturbed bare ground ready for seed sowing (link to seed list) and build a hibernaculum (pile of stones and wood topped with soil) as habitat for amphibians. A log pile is planned and the pond area can be seen from the public footpath along the Lime Avenue.